We’ll be honest, Queenstown is a bit of a tough one when it comes to freedom camping. If you want to freedom camp in Queenstown, first you need a certified self-contained sticker on display and second, you will have to be prepared to drive at least 10-15 minutes out of town. The benefit though is that this usually takes you to some stunning freedom camping spots along lakes and rivers. 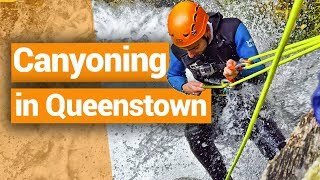 So where can you do free camping in Queenstown? Those without a self-contained vehicle have some other great camping options that we outline in Where to Camp in Queenstown. Alternatively, you may want to consider staying in one of 10 Best Hostels in Queenstown. For those with a motorhome, we suggest you do your daytime parking in the Boundary Street Car Park to avoid fines that you are likely to get if parked elsewhere. Get there early to secure a spot! While we try to keep these articles as up-to-date as possible, see the local council website listed on Freedom Camping Rules in New Zealand: Region by Region for current laws on freedom camping. On the outskirts of Queenstown and along the Shotover River, the Queenstown Rotary Club is a good freedom camping option in Queenstown. Find the car park near the historic Shotover Bridge. Certified self-contained vehicles can park here for a maximum of two nights. [Update: freedom camping at the Rotary Club car park is now prohibited. We’ll list another freedom camping location in this spot when one becomes available]. 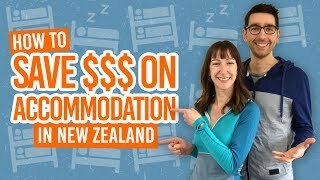 30 minutes out of Queenstown, this is a good freedom camping option for those who want to escape the hustle and bustle and enjoy the Lake Wakatipu scenery. This are is overseen by the Department of Conservation who have opened it up for freedom camping for self-contained vehicles staying a maximum of four nights. Location: 25km up the Queenstown-Glenorchy Road from Queenstown. (30-minute drive from Queenstown). A little further up from Meiklejohns Bay is another freedom camping option under the same DoC rules of a maximum four nights in a self-contained campervan. Location: 27km up the Queenstown-Glenorchy Road from Queenstown. (30-minute drive from Queenstown). You know that place where people like to bungy jump? Well you can camp there for free too if you have a certified self-contained vehicle. Stay for a maximum of four nights between the hours of 5pm and 9am. Location: Just off State Highway 6 at the Kawarau Bungy Bridge. (25-30 minute drive from Queenstown). 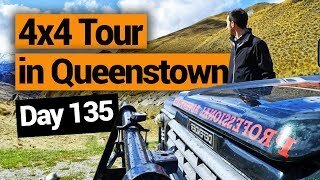 For those of you without a self-contained vehicle, your only option for non-restricted freedom camping in the Queenstown area is east of the Gibbston Back Road and State Highway 6 intersection. That’s about 30 minutes drive from Queenstown. With limited parking in this small area, we suggest staying in paid campsites during your time in Queenstown. See our Where to Camp in Queenstown for your options. Location: Basically the area around Victoria Flats Road.